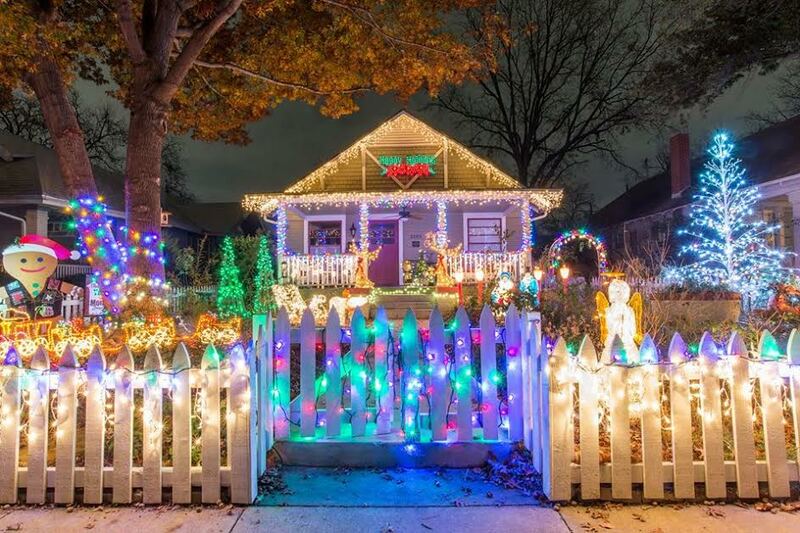 Welcome to The ULTIMATE and BEST Christmas Light Displays in DFW 2016. Thanks to ALL of you who have shared the holy night out of this article. It went viral several years ago and has now been clicked on more than 100,000 times since 2012. 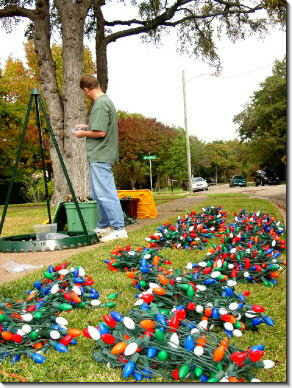 In fact, if you Google “Xmas lights in DFW”, my articles pop up at the top of the list! 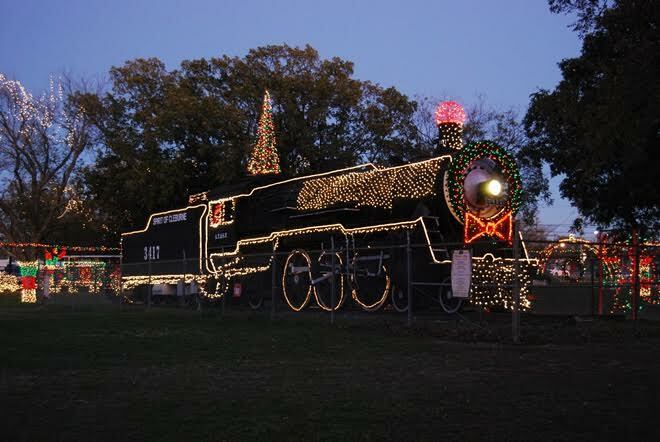 I’ve spent hours curating, updating and adding to this collection of light displays in our beautiful Dallas-Fort Worth Metroplex and I am proud to be able to bring this post to you for the fifth year. 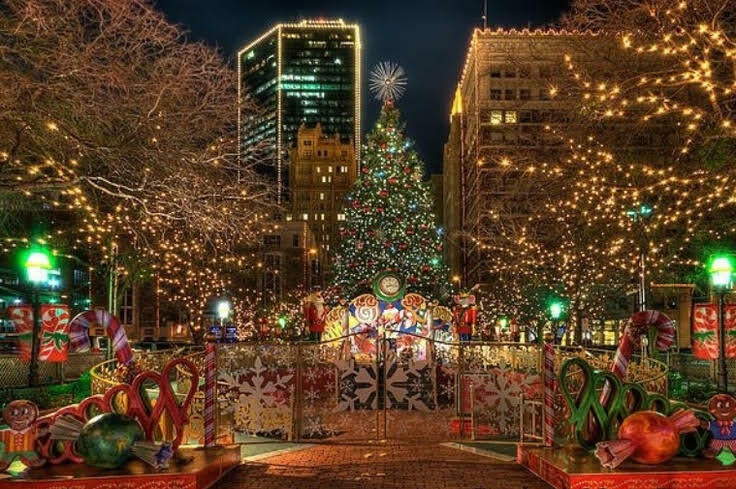 Also, don’t miss The ULTIMATE and BEST Christmas Events and Activities in DFW 2016! Plus, be on the lookout for several AMAZING giveaways! You can enter all of these contests on the Facebook page. See the beautiful live 57-foot lit tree, decorative water fountains that feature ever-changing waterfalls and cascades, and the four giant umbrellas covering more than 6,400 square feet, which provide gorgeous lighting displays at night. Plus don’t miss many FREE special events, including holiday choir performances and concerts in downtown through the month of December, and Santa in Sundance too! 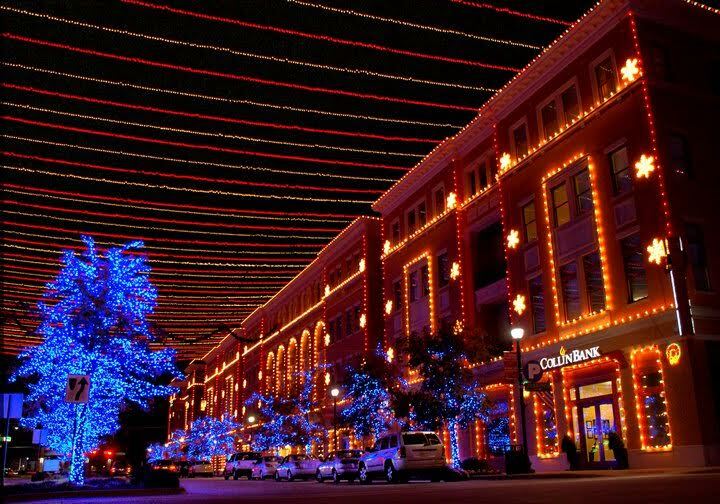 Tap into the energy of the season with Starlight Symphony at West 7th and start a new exhilarating tradition! 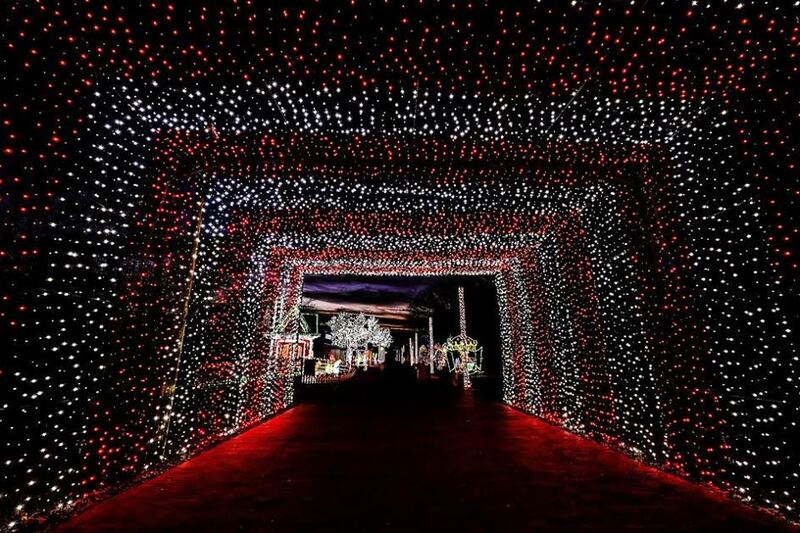 This rousing music and light show features animated holiday stars and other seasonal sparkle, all synchronized to spirited versions of your favorite holiday tunes. 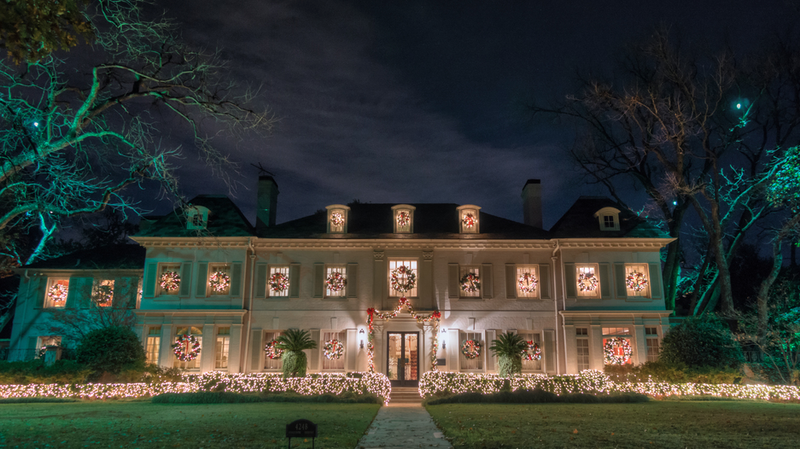 The 5-minute show on Crockett Street plays nightly on the hour from 6-10PM and carolers sing from 6-8PM. Plus, don’t miss out on the FREE horse and carriage rides every Friday and Saturday night through December. 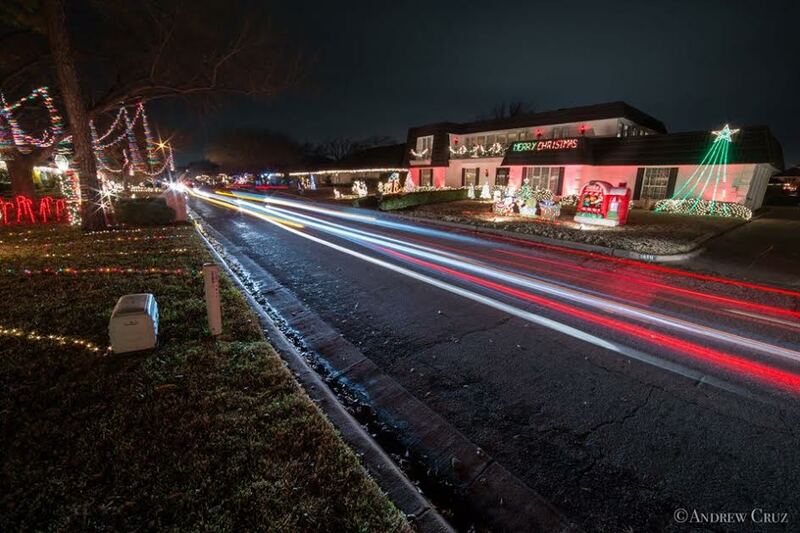 Celebrating it’s 41th anniversary this year, more than 200 homes make this one of DFW’s largest holiday light displays and one of the very first and original of its kind, enchanting visitors with their extravagant Christmas lights, decorations and displays. I even remember going here as a child. It’s well worth the trip, but prepare for extreme traffic. And I mean EXTREME! 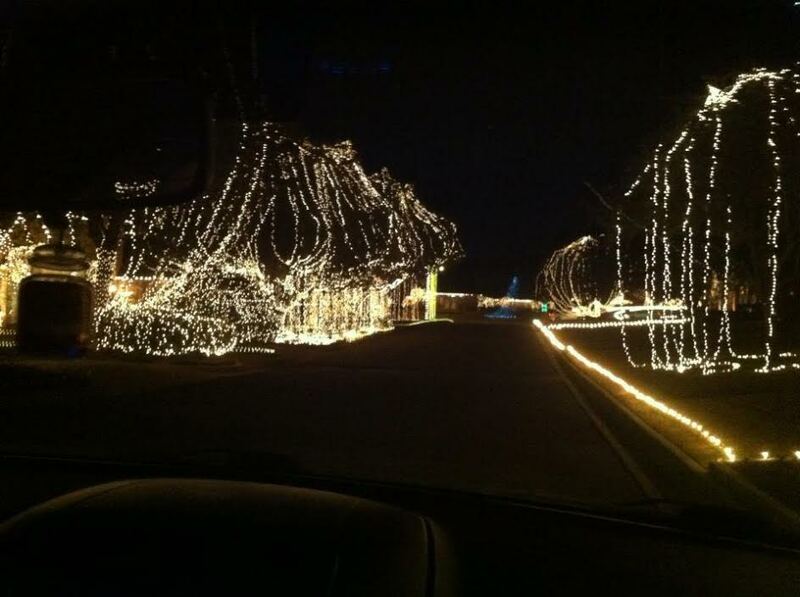 For more than 30 years, David Kulesz has decorated his house with hundreds of thousands of lights, and now all 14 houses on these 2 cul-de-sacs light up every Christmas with nearly 400,000 bulbs and 2 miles of extension cords. A sign on his lawn says the light display is in honor of Alzheimer’s victims and shows the address of the North Texas chapter of the Alzheimer’s Association where people can donate money. This is a sight not to be missed! Family traditions and childhood memories have been made for many in this beautiful mansion-filled neighborhood over the last 40 years. Start at Armstrong Parkway and Preston Road and get lost from there. Area of special interest (an insider tells me): Rheims to Mockingbird and Lomo Alta to Preston, the perfect square. For the Prancerciser in you, try a 4 mile 21 block walking tour. Start in Highland Park Village, head to Armstrong Parkway, work your way down Armstrong to Lakeside Park, boogie on over to Abbot, hook it over to Beverly and make your way to Douglas, then back to the Village. 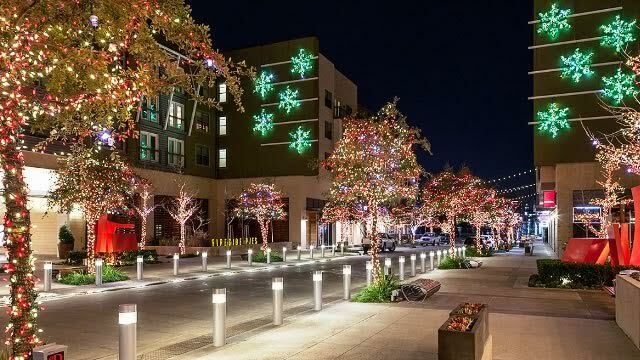 You can’t miss these five colorfully lit trees in the street island at Colorado and Lausanne. 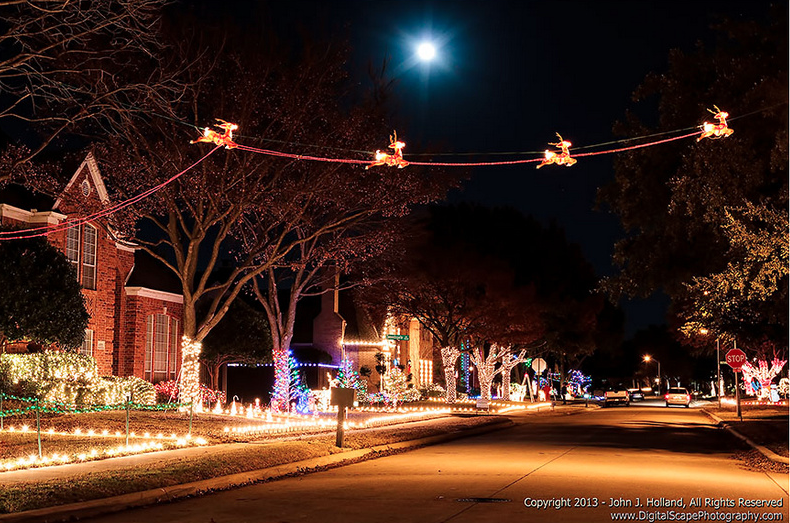 With the Dallas skyline in the background and multiple houses in serious holiday spirit, you won’t be disappointed. 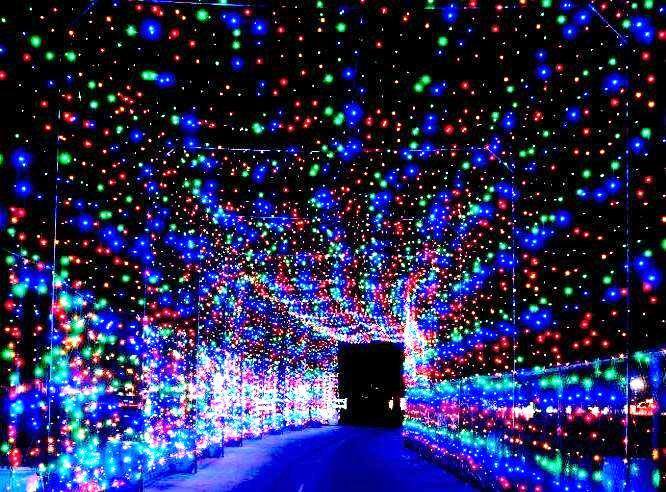 This wonderful residential park with a spring-fed creek on 19 acres of lush grass and walking paths has more than 550 trees lit up with 21,000 light strands which equals 1.5 million LED bulbs. 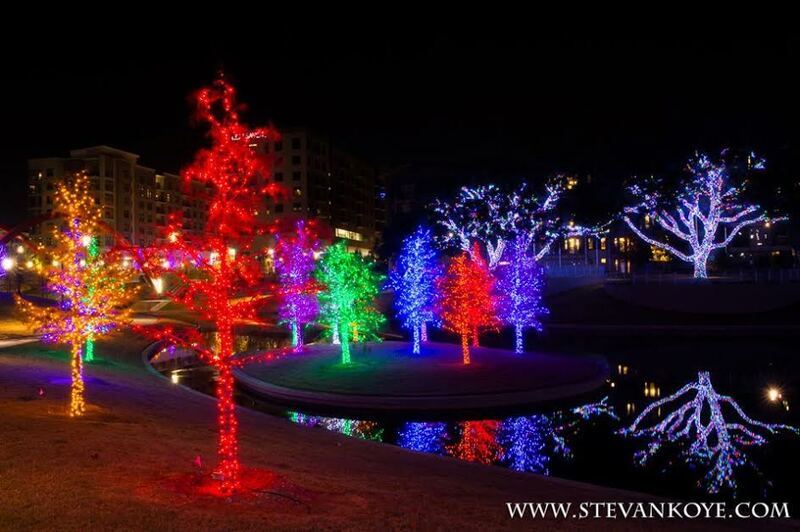 An insider told me that Vitruvian Park spends 2 months wrapping the trees, and 1 month testing the lights before the formal tree lighting. Don’t miss out on the special events. December 3, 10, & 17 from 6:00-10:00PM. 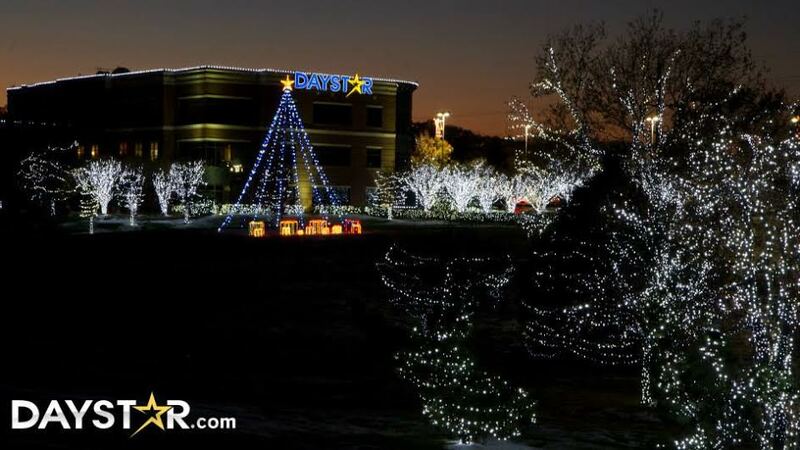 Visible from state highway 121 to passersby, more than 500,000 pure white LED lights and a full, life-sized 20-piece nativity scene serve as a visual reminder to the true meaning and reason for celebrating Christmas. And when you visit, be sure to take pictures of the lights and the nativity scene. Upload those pictures to your social media platforms using #DaystarChristmas, and your picture might appear on-air during an upcoming Marcus and Joni show. 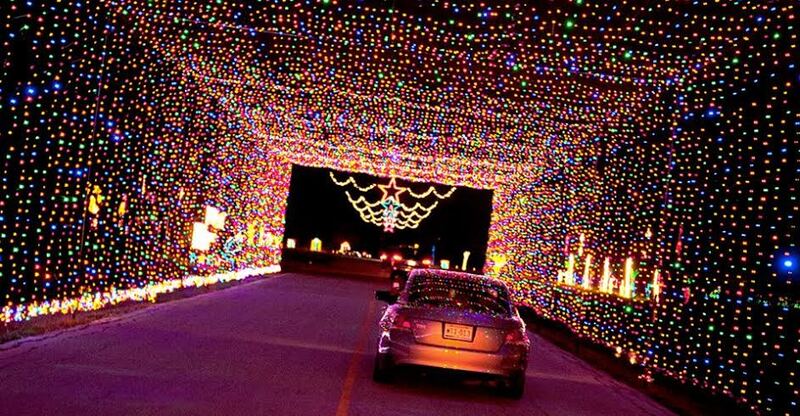 Create magical memories as you drive through stunning displays of holiday light scenes with more than 500,000 glimmering lights. There is festive holiday music and the grand finale is a new animated show with Santa Claus himself. The driving tour will begin, as always, at I-35E and Valley View, continuing east on Valley View but now turning south onto Denton Drive and ending at the Farmers Branch Historical Park. I know everyone can load up their car with family or friends and head out for an evening of Holiday Cheer, but what about trying something different, maybe something you haven’t done before, EVER? Well, welcome to Santa’s Sleigh Ride! 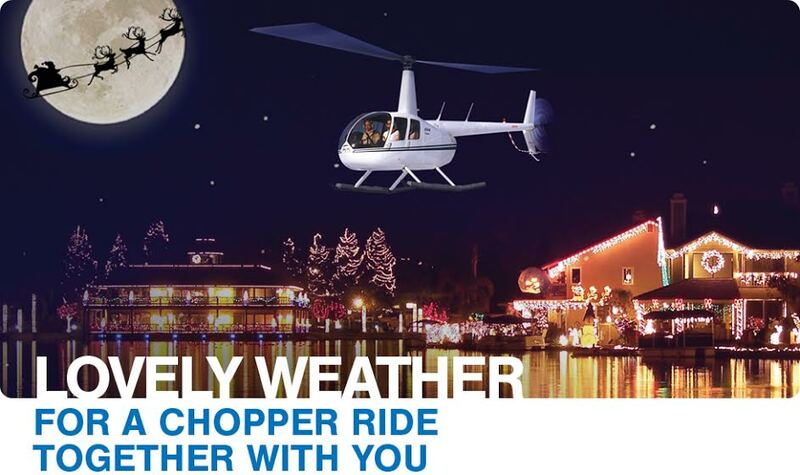 Epic Helicopters is the largest helicopter tour operator in North Texas, offering 7 different helicopter holiday light tour variations! 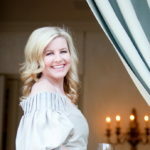 Christy Dunaway Smith is a lifestyle expert and lover of all things fun and fabulous who is passionate about entertaining, design and, of course, Fort Worth, Texas. With a Bachelor of Arts in art history and studio art from Southern Methodist University, Christy has a keen eye for design and style. On her popular lifestyle blog, SoFortWorthIt, she features expert entertaining tips, luxe home décor inspiration, fabulous social events, fashion & beauty must-haves and more. She has collaborated with numerous brands and media outlets, including co-hosting many exclusive events for the likes of Fort Worth, Texas Magazine, Neiman Marcus, Central Market, Riedel, The Container Store. She has even appeared on Bravo’s Real Housewives of Dallas! Christy is dedicated to giving back as an enthusiastic supporter for many nonprofits; under her leadership, she has raised millions of dollars for DFW-area organizations. Additionally, she has served on more than two dozen nonprofit committees & boards and co-chaired many events for charitable organizations. In her free time, Christy enjoys spending time with family, her girlfriends and traveling.